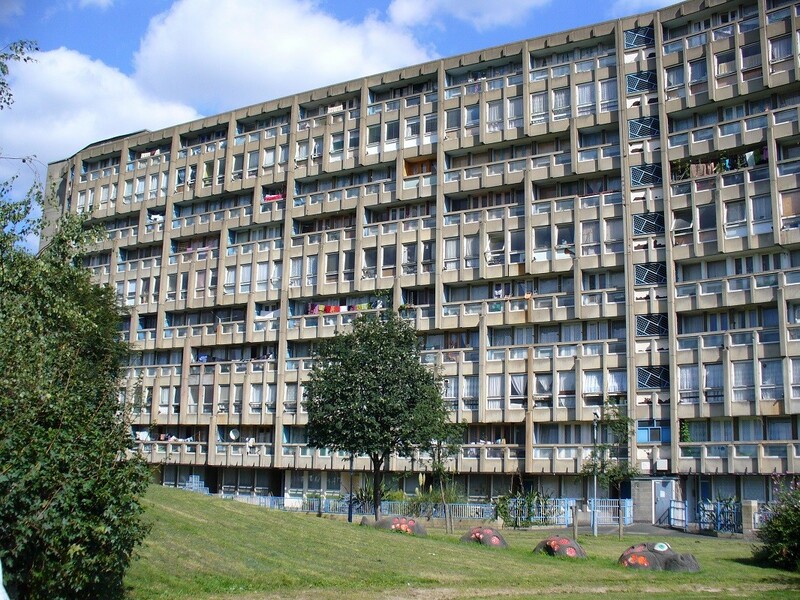 Robin Hood Gardens in Tower Hamlets, is regarded as one of post war Britain’s most important social housing developments, designed by architects of international stature, husband and wife team Alison and Peter Smithson. The 1972 Brutalist housing complex comprising 213 flats built from precast concrete slabs was modelled on the “streets in the sky” concept, made up of two long curved blocks arranged around a landscaped setting of raised mounds – a green oasis just a stone’s throw from the Blackwall Tunnel. The shorter, taller block to the east, along the Blackwall Tunnel approach, made a visual and acoustic barrier. The facing block along Cotton Street was lower at seven-storeys which allowed more sun into the communal garden. The noise issue was tackled in part by locating all bedrooms to face the relatively quiet central garden. Projecting concrete mullions were designed to break up the noise as it passed across the face of the building and acoustic finishes were applied to bedroom windows, floors and ceilings. In addition, a 10ft high ‘acoustic wall’ with angled tops ran along the roads on the east and west sides. Living rooms were placed on the noisier outside along with access decks at every third floor, linking the lifts at each end. The decks were intended as social spaces, providing a place where neighbours could meet and talk and where small children could play, creating a sense of generosity and community. The flats were a mixture of single story apartments and two storey maisonettes. Parking was provided for 70 per cent of the flats in a ‘moat’ area below ground level. The Smithsons were the leading architectural thinkers of their generation in the UK and the most engaged with the international debate about housing and Modernism in Europe and America through their theorising, writing and building. They first came to prominence in 1950 when they won a competition to design a new secondary school in Hunstanton (grade II* in 1993). 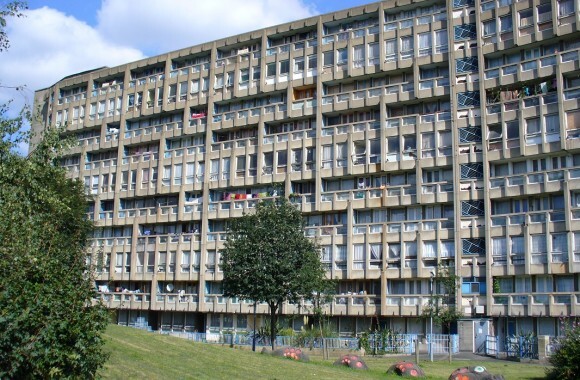 They developed the concept of ‘streets in the air’ in their competition entry for the Golden Lane Housing Estate, which they then put into practice at Robin Hood Gardens. C20’s campaign to save the complex was supported by a raft of high profile and international architects including Renzo Piano, Moshe Safdie, Lord Rogers, Zaha Hadid, Jean Nouvel, Frank Gehry, Rafael Viñoly, Ted Cullinan, Will Alsop, Amanda Levete and RIBA president Stephen Hodder. 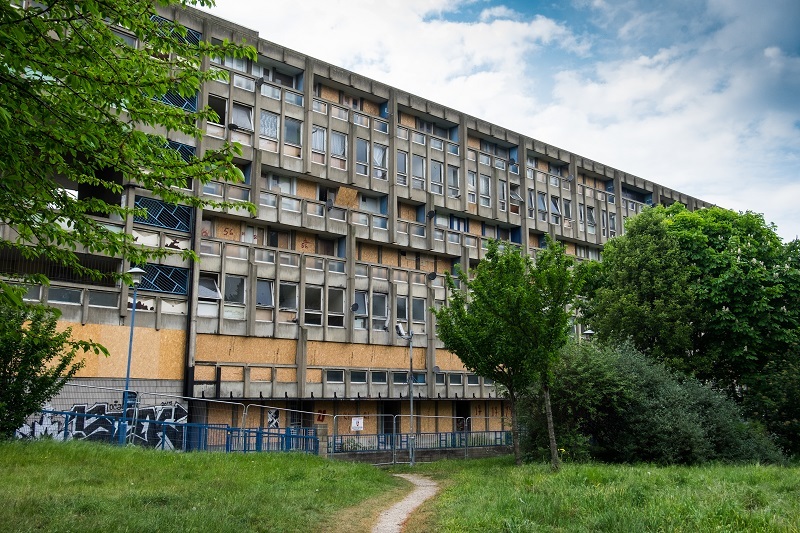 We published a book Robin Hood Gardens Re-visions to help raise the profile of the estate, and architect Sarah Wigglesworth worked with us to demonstrate how the existing buildings could have been successfully refurbished as an alternative to demolition. Unfortunately this was not to be. 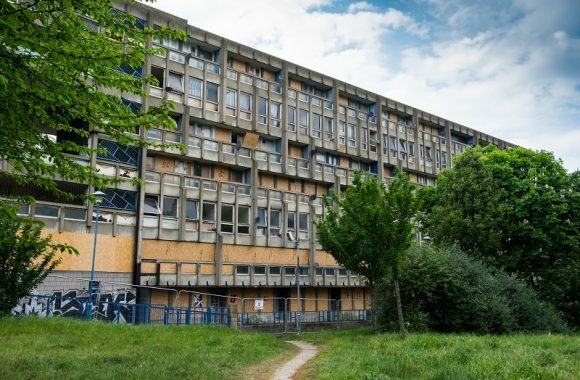 Residents of the eastern block have been evicted and the windows boarded up as the next phase of the Blackwall Reach regeneration project gets underway. Demolition is expected to get underway before the end of the year. The eastern block will be demolished later.